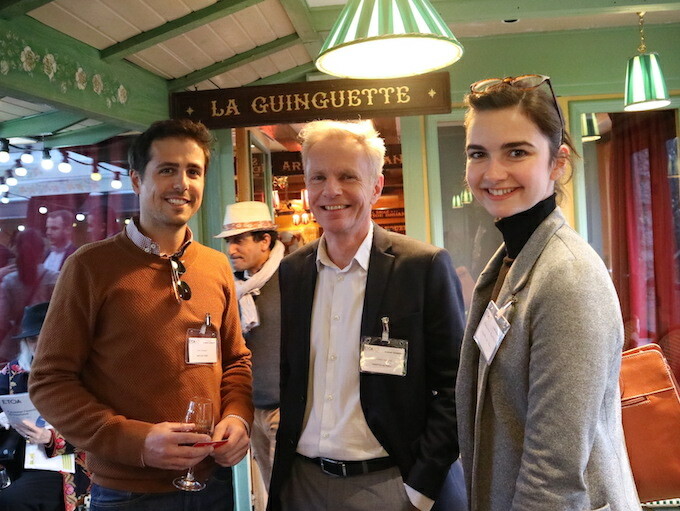 The European Tourism Association (ETOA) has celebrated its 30th anniversary with a networking cocktail party for its members and partners at La Bonne Franquette in Montmartre, Paris. Founded by a small group of tour operators in 1989, ETOA has since grown to be the biggest pan-European travel industry network promoting Europe as the world’s number one destination. The Association’s 1,100 members deliver more than €12bn of business annually within Europe and include tour and online operators, intermediaries and wholesalers, European tourist boards, hotels, attractions, technology companies and other tourism and business service providers and span global brands to small local independent businesses. ETOA runs many events throughout Europe including 10 appointment-based events where nearly 60,000 face-to-face contractual meetings take place. Recently ETOA also delivered ‘Partnerships in European Tourism’ for the European Commission, with major events in China and the US. Jean-Claude Balanos, vice president, Leisure Sales, Accor Hotels, is the newest member of ETOA’s Board of Directors, and co-chairs its Paris working group. He said: “It is great to see many members and associates here – and to welcome some new friends too. For me, ETOA’s work in destination is increasingly important as industry evolves to meet operational and commercial challenges. The networking event’s venue, La Bonne Franquette in Montmartre, joined ETOA when it was a new trade association for the European inbound industry, becoming one of its first members in France. Luc Fracheboud, La Bonne Franquette’s owner, said: “My father saw the commercial opportunity in ETOA’s buyer network years ago and it continues to be a source of new business at B2B workshops and networking events like tonight. ETOA’s Tim Fairhurst added: “Paris will always be a priority for us: it is the quintessential European destination and is the capital of the most visited country in the world. For further information visit www.etoa.org/events and www.etoa.org/policy.